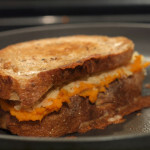 Recently, I traveled to Whole Foods to see if they had any type of potato bread (mix, fresh, not fresh) to turn this awesome Daily Spud recipe into a grilled cheese. 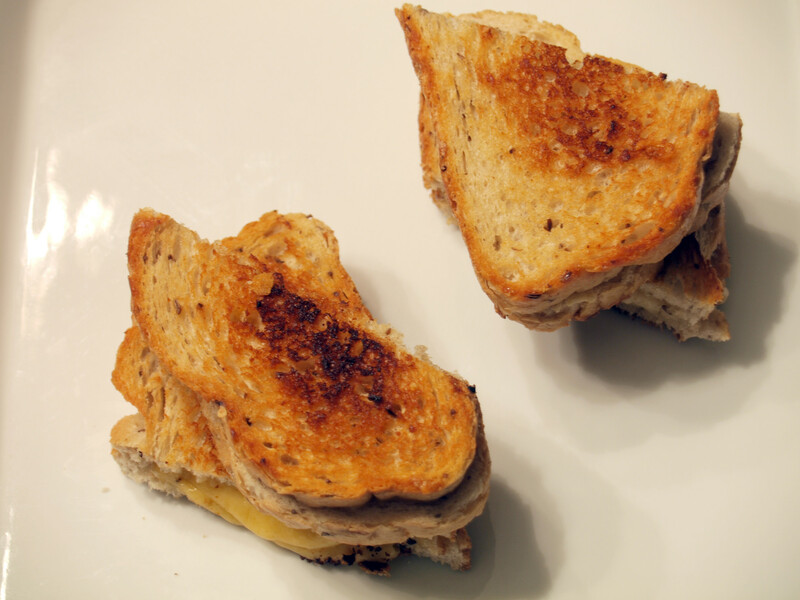 Instead I stumbled on Whole Foods’ “cheese remnant” section (which I had thought they discontinued) where I found two cheeses I had never heard of: ‘Vintage Van Gogh’ and ‘Black Pepper Bellavitano.’ From there, I decided to make two simple, quick grilled cheese sandwiches featuring these cheeses and the onion rye bread I had sitting at home. Such a great idea. Since everyone is probably most intrigued by the Vintage Van Gogh, I will start with the Satori Black Pepper Bellavitano. After tasting this most definitely yummy cheese, I looked back at my rudimentary photo of the display accompanying the Bellavitano. Whole Foods description is 100% spot on. The Black Pepper Bellavitano has the creaminess of a fantastic Cheddar with the bite of a Parmesan (and black peppers). A great combination in my opinion. If you like mild cheese, this particular variety is not for you. However, if you enjoy a cheese that is not timid and most definitely out front, you should get in your car right now and drive to your local Whole Foods. Although this was a worry when using onion rye bread, the Bellavitano did not get lost behind the strong flavor of the bread. It actually complimented it very well. I love Van Gogh, so much that during my 11th grade French class, I painted a tie based on the above Van Gogh painting. Therefore, when I saw cheese named after Van Gogh, I just had to buy it…and then devour it. Unfortunately, since the cheese is packaged by Whole Foods themselves, I am not sure if my Van Gogh is from Roth Käse, but my guess is that it is. The Vintage Van Gogh is the complete opposite of the Black Pepper Bellavitano. 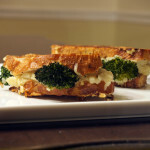 It is extremely mild and creamy and blends nicely in grilled cheese form. 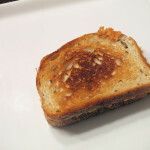 While eating the first half of my Vintage Van Gogh grilled cheese, I was afraid the onion rye was overshadowing the Van Gogh. 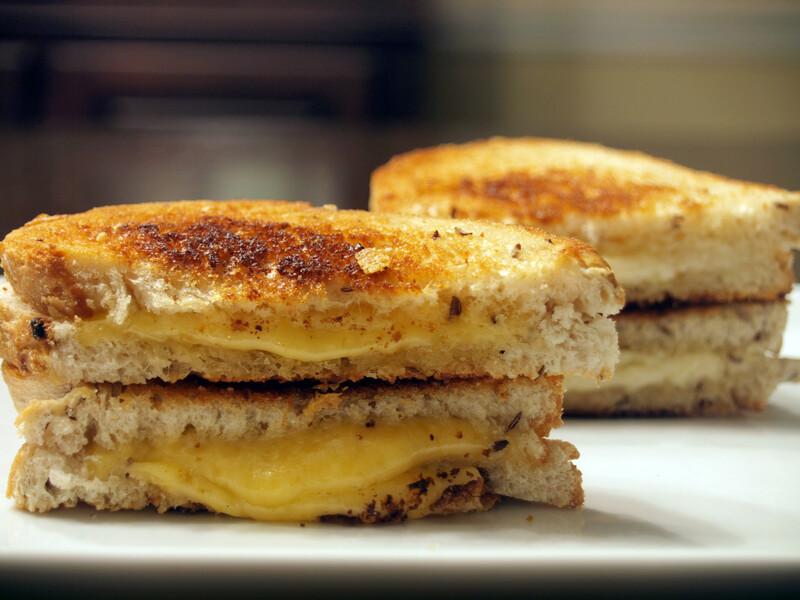 However, as I continued to munch on the grilled cheese, the flavor of the cheese really began to come through. My suggestion to you, if you want to use this cheese on a flavored bread, would be to make sure that you don’t skimp on the cheese. I believe the second half of my grilled cheese simply happened to have more cheese than the first half, allowing me to truly taste the Vintage Van Gogh. This was a very successful experiment if I do say so myself. I was able to try two new cheeses that I had never heard of but will never forget. 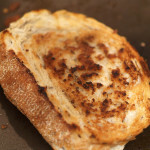 I haven’t thought of future uses for these cheeses, Vintage Van Gogh and Sartori Black Pepper Bellavitano, but I am sure with a couple of added ingredients and a different bread, they would make even more fantastic gourmet grilled cheese sandwiches. If you have any suggestions, please leave them in the comments. Posted in Grilled Cheese and tagged gouda, grilled, rye, sartori black pepper bellavitano, vintage van gogh. Love the sound of both cheeses, especially the bellavitano (‘cos I do love me a nice full-flavoured cheese 🙂 ) Wouldn’t mind trying it out with some sweet pickles or chutneys, ploughman’s lunch style. I’m with DS–I love strong cheeses, so the Bellavitano sounds like a winner to me. Although being a young gouda, I bet the Van Gogh melted really nicely. 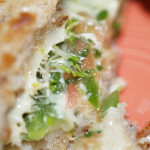 And sometimes (most of the time) the texture of the melted cheese is just as important as the flavor of Said Cheese. Man that looks fabulous. 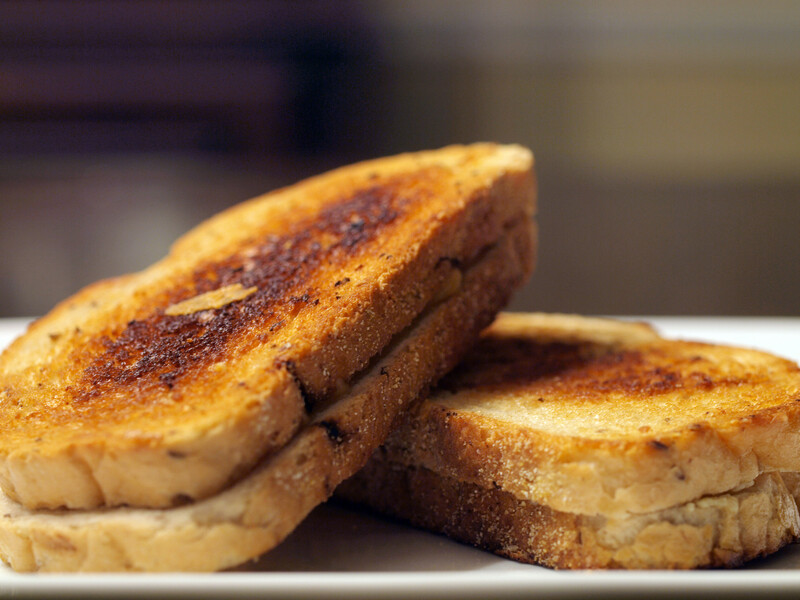 I love grilled cheese, well I love cheese period, and I’m frothing looking at your pics which are outstanding.